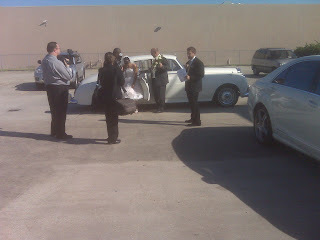 Today's Bride Kim Johnson was such a sweetheart, and she cried so many times. Very emotional. 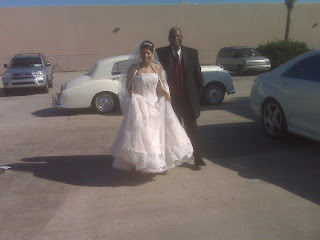 One of my BFF Wedding photographer Bernie Saul was there. I LOVE BERNIE...she rocks! Kim hired me for a half day. She got married at the CHAMPAGNE PALACE in Elmwood. She did an outdoor wedding.